The world's most advanced, most cost-efficient heating, ventilating and air conditioning system for new or existing homes or businesses. Heating and cooling your home for 25% to 50% less than traditional systems with greater levels of home comfort and control, less maintenance and enhanced home resale value. Endorsed by the US Department of Energy (DOE) and the Environmental Protection Agency (EPA). A Geoexhange System delivers maximum year-round comfort with minimal environmental impact. It reduces greenhouse gas emissions and significantly reduces our dependence on fossil fuels. A Geoexchange System will help keep the skies blue and our planet green. Offers a quiet environment and provides consistent temperature throughout the home. Geoexchange Systems provide clean air quality inside and require little or no maintenance from the homeowner. Surveys by utilities indicate a higher level of consumer satisfaction for Geoexchange systems than for conventional systems. Polls show that more than 95% of all Geoexchange customers would recommend Geoexchange to a family member or friend. Geoexchange relies primarily on the Earth’s natural, relatively constant thermal temperature to heat, cool and provide hot water for a single family home, multi-family home, school or business. Geoexchange systems consist of three elements: the heat pump unit, the ground heat exchanger and the air delivery system (ductwork). 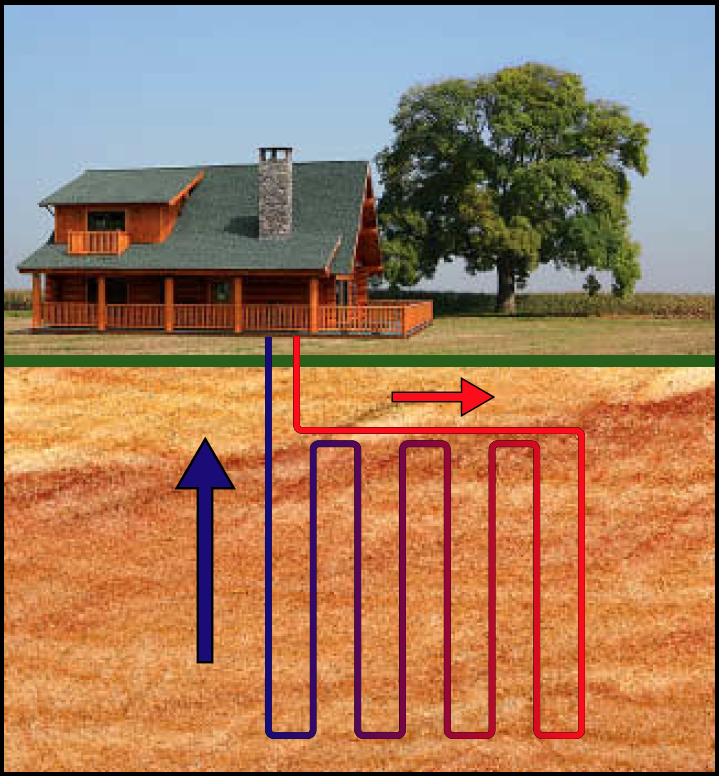 A water solution circulating through pipes (Ground Heat Exchanger) buried in the ground absorbs heat from the earth and carries it into the home. The Geoexchange system inside the home uses a heat pump to concentrate the earth’s thermal energy and then to transfer it to air circulated through standard ductwork to fill the interior space with warmth. 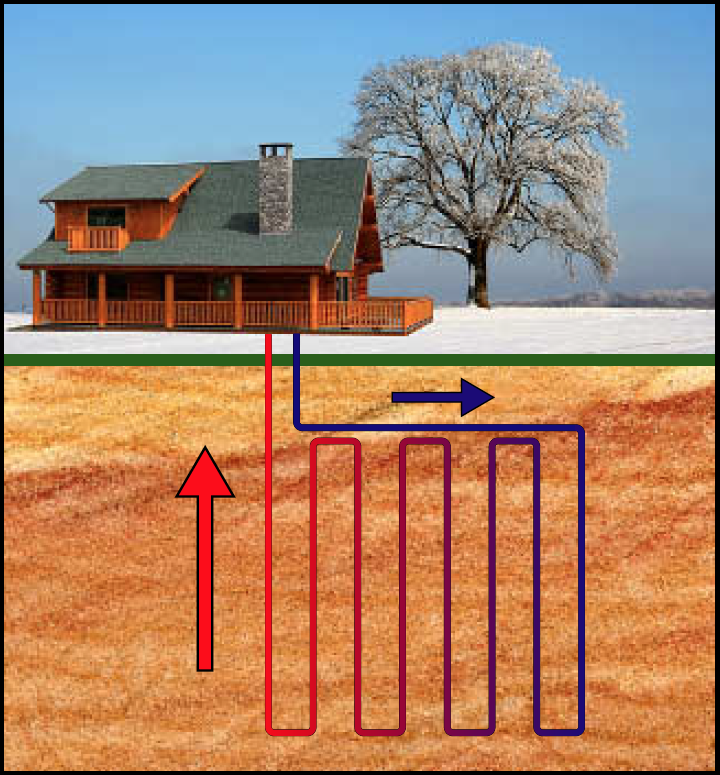 The process is reversed and heat is extracted from the air in the house and transferred through the heat pump to the ground loop piping. The water solution in the ground loop then carries the excess heat back to the earth. The only external energy needed for Geoexchange is the small amount of electricity needed to operate the ground loop pump and fan. 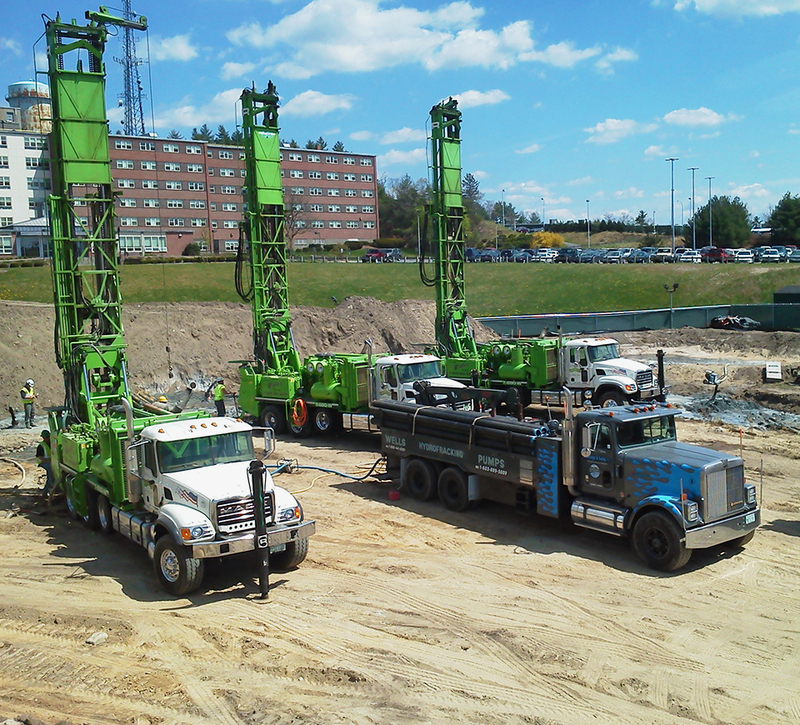 Who Can Benefit From a Geothermal Exchange System? Geoexchange systems are found in all types of buildings from luxury and middle-class homes, community homes, businesses, schools and universities. You don’t need a new home to have a Geoexchange system – simply have an evaluation of your current system for retrofitting ideas. In addition to heating and cooling your home, Geoexchange can also provide a home or building with hot water. In the summer, when the exchange system is in the cooling cycle, excess heat that would otherwise be expelled back into the ground is stored providing you with free hot water, overall reducing the amount of electricity or gas consumed by your hot water heater year round. We will respond within one business day. For an immediate answer to your questions, call us at 1-800-441-6281.